so my chow is overly aggressive to any male dogs near by, especially larger male dogs... i literally cant bring him to dog parks because of my fear of him being overly aggressive with other male dogs... almost have to keep him on a leash at all times... but with female dogs, he has no problem whats so ever... its the strangest thing... small dogs he generally is fine with, its a hit or miss, but if its a male, generally he would start growling at it, but if its a small male one, he may or may not be aggressive... any suggestions on how to correct this behavior? The only way to get him over being aggressive to other dogs is to get him comfortable with them. I would suggest introduction wherever possible while still maintaining leash control. A quick sniff or a nose to nose inquisition is not a problem, but maintain control with the lead. Use a jerking motion to control where he goes and to correct immediately. Then try to reward a proper response. Very common for chows to not react to treat rewards outside of their normal environment. You could try to escalate the treat to something he likes better or is more unique to the situation...cheese works for 2 of my dogs, but not the 3rd. Maybe a bit of chicken. Try to make it fun for him as well. Gain his attention and give him a good 'atta boy' rub. On occasion I will distract my older male with a bit of play. Smack his hind leg (lightly of course) with the lead. Switch it over to the other side to keep his attention shifting. My dogs know that the treats are stored in a pocket of my pants. Just put the hand in the pocket and get his attention. it takes practice, and outside his home its harder. many more distractions and things more interesting than you, but it can be done. Hahaha Rory's dad i can relate to the treats in the pocket thing. My dogs do the same. My reply is a bit late but here it goes. I had the exact same problem with lack of attention during walks. My male chow didnt even take any treats from me and he didnt listen at all. As he kept sniffing everything and pulling on the leash. My solution was to take him out for a very long time every day. We go for a walk then i sit somewhere and i leave him on a 6 meter leash to sniff around. Then change locations. Now he listens everywhere and he acts like he is home wherever he goes. His problem was that he was very excited and happy being out.. It took some time but now he is great. Great training solution to the walk issues. What a great amount of patience you have. I think I would have given up, but you are right. Chows are stubborn sometimes and you need to be more stubborn! And it does come down to some basics. You taught him that the walk areas are no different than being at home. Nothing to be anxious about or to be excited about. As they say, just another day at the park. I made a lot of new friends because of him. And he benefited alot from passive socialization with people and dogs. Too funny. As much as our Chows have an (unwarranted) reputation for being unsocial, if you bring your Chow out to the public, you will have to be social. From any number of comments about the blue/black tongue, to suddenly everyone either owning a chow in the past or knowing someone who did, and the stories about how that chow was a really bad family dog, to questions about 'do they shed much'? (duh, look at him). Lots of pointing the Chow out to young children...'that's a Chow', without any further explanation and they expect a 4 year old to figure out the significance. And all time favorites are always 'is he friendly?' would I be sitting in a public park or walking through a pet store with him if he wasn't? On the flip side, I always take this as an opportunity to tell a story or to educate. Instruct those young children on the correct way to approach a Chow and pet him. Give the parents a lesson on the legend of the blue/black tongue or how they are the only dog breed born with 24 teeth. 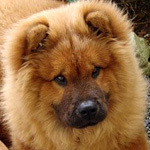 I like to tell them how Chows were used by Mongolian warlords as foot soldiers. It's always fun to name drop celebrities who owned chows (Martha Stewart aside, since everyone knows that). Sometimes I will even use the Chow to give my reviews on the various vacuum cleaners on the market. Hahaha i once saw that comment on a Bissel as far as i remember.